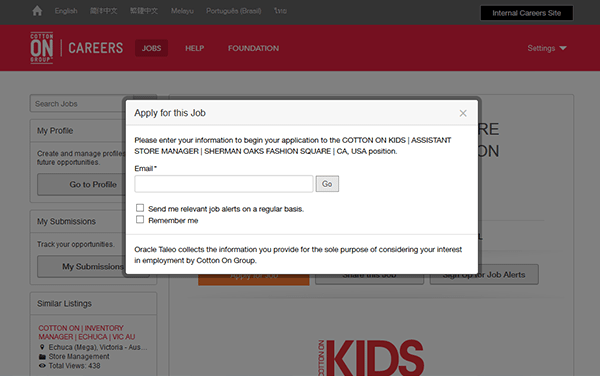 Access the Cotton On job application by going to the company’s careers website. Numerous career types can be applied for including retail, corporate, and distribution positions. 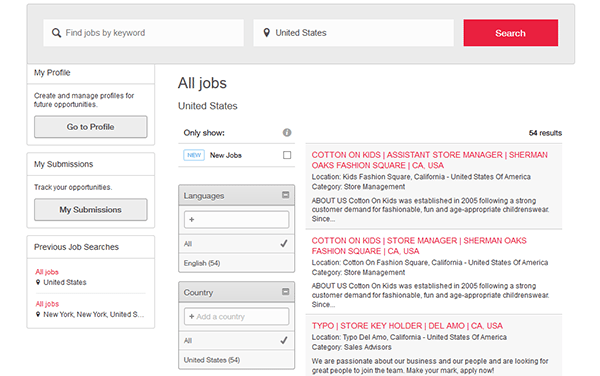 The company operates on an international level, therefore the main careers site is not location-specific. 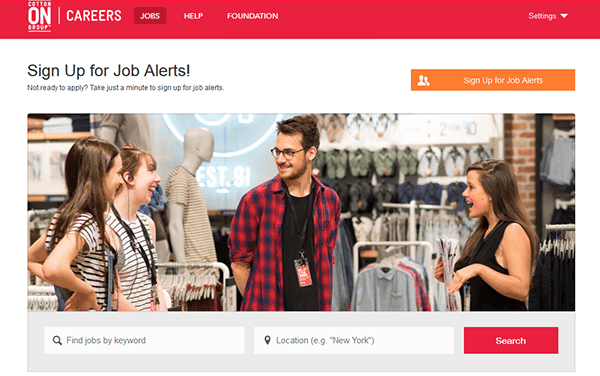 Follow the instructions posted below to learn how to access the main job search page. 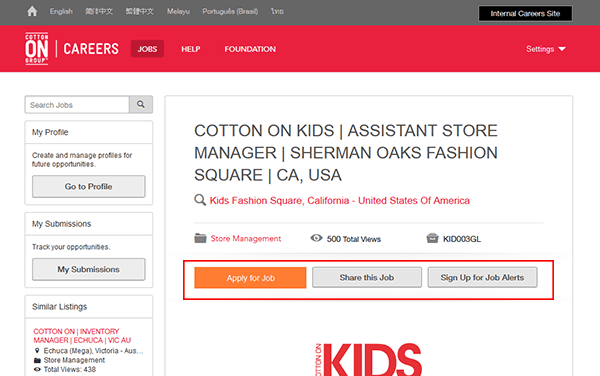 About the Company: Cotton On is an Australian clothing brand/store that is headquartered out of Geelong, Australia. The company was founded in 1991 and has locations across the world. Step 2 – Enter a keyword and location (e.g. country) into the search form and then click the “Search” button. Step 3 – Press the link of the job that you’re interested in applying for. Step 5 – Click the button as seen in the below image to move to the next step of the process. Step 6 – Fill in your email address and then hit the “Go” button to continue. Step 7 – Enter your first name and last name into the form. Click the “Start” button. Step 8 – Accept the privacy agreement in order to continue. Step 10 – Profile Upload – In this section of the form you have the option of uploading your resume or importing your personal information from your LinkedIn account. Click the “Save and continue” button to go to the next step. How much notice do you need to give your current employer? What date are you available to commence?